MJ Trimming's, a popular NY-based craft shop, has their very own Project DIY subscription box. 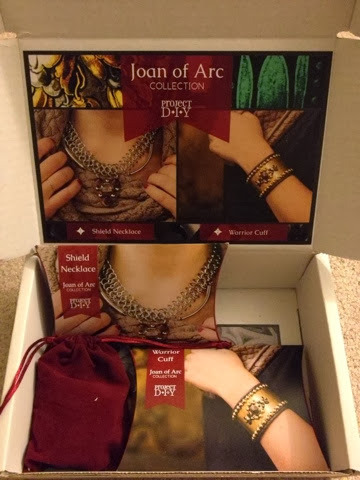 They kindly sent me their latest box, themed Joan of Arc, to play and review. I'm a fan of all things crafty and was so excited to learn about this new box. I've seen some in the market already but have always gotten beauty and food boxes. So my very first craft box was so much fun! First, the box came with all supplies (& tools!) needed to complete two projects, a cuff bracelet and necklace. What I like about this box is that you're able to make this your very own piece, by adding as much or as little beads as you wish. 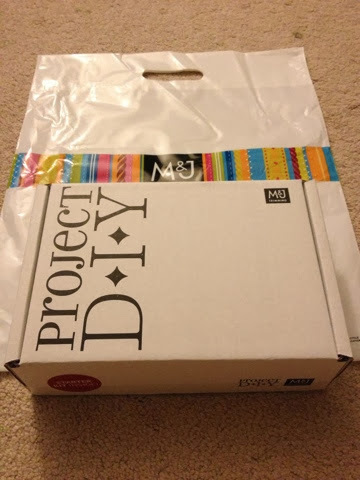 The box came with its own tools kit that you can use for all future projects, Ms. DIY-er! (A $20-value is now included in your first box, for a very limited time!) Since how can you really use your Project DIY box without the right tools, right? 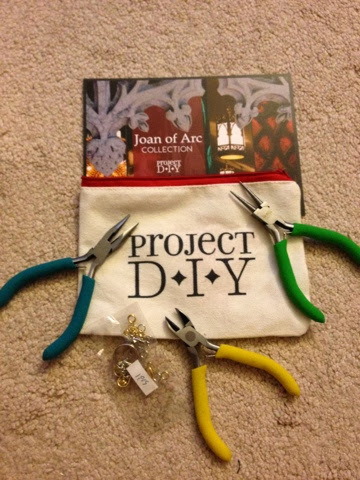 Here's a sneak peek of the Joan of Arc goodies... Stay tuned for a future post on my completed pieces!